Our team of trained and licensed insurance agents is dedicated to maintaining the highest level of customer satisfaction. As an independent insurance agency, we are here to serve you, our customers; not the insurance carriers that we represent. When you work with JMI Insurance, you can relax knowing that we will always have your back. Burglary is a growing problem, and one that affects just about everyone at one point or another. 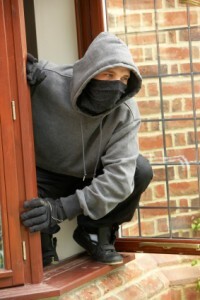 According to the FBI and the U.S. Census Bureau, in 2010 there was a burglary in the U.S. every 14 seconds. That added up to more than two million burglaries committed with a total cost of more than $4 billion. That equates to about $2000 in stolen property per burglary. Not to mention the potential for damages from forced entries, such as shattered windows and broken doors. Burglaries can also have a mental and emotional toll on homeowners. You may be unable to feel safe in your own home. At JMI Insurance, we work with 15 of the nation’s leading insurance providers. This gives us a huge selection of insurance policies to choose from so that we can find a burglary insurance policy that will minimize the impact that a burglary can have on your finances and on you and your family’s emotional well-being. Not only can we provide you with the best possible insurance policy, but we will work closely with you after it is finalized to clear any remaining hurdles. When you call us, one of our cordial and helpful insurance agents will personally take your call. You won’t be transferred around and you won’t be forced to talk to a robot. We will gladly answer your questions and ease any worries you may have regarding your burglary insurance policy. We can even offer useful tips for preventing burglaries in the future. 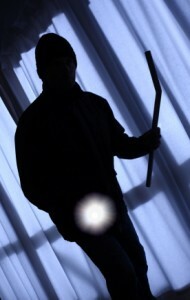 Burglaries are not going to go away any time soon, so it is wise to have a policy in place that covers stolen property. We would love for the opportunity to be your trusted insurance agency. Contact us online or by phone to request a free auto, home or business insurance quote today!